By Viviana Widjaja from Resources for Moms and Kids. To read it in Indonesian version, please visit HOKI. 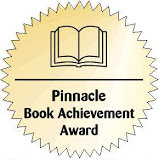 Enthusiasm is a fascinating and hopeful novel based on the author’s own true story that has won Pinnacle Book Achievement Award for the spring 2010 in novel category from North American Bookdealer Exchange (NABE). 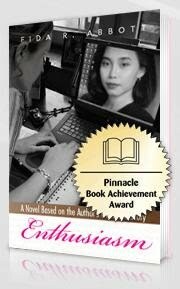 In this exceptional masterpiece, the author narrates the journey of her life and shares how enthusiasm plays a vital role in pursuing her dream in the writing world—with English as her second language—in her new country, USA. She exemplifies her experiences, her family and relationships, her inspirations, and her passage toward her remarkable goals. This novel is a reflection of her own life, how she faced obstacles, how she handled life, how she inspired others, how she touched other people’s life through her works, and how she achieved the amazing success of her life and endeavors—a perfect blend of life spices. I enjoyed how she narrated part of her life to pursue her dream as a published author with English as her second language. She made her simple life interesting and remembered every detail in her life. She could blend the story of the past, present and her dream for the future well in her novel. 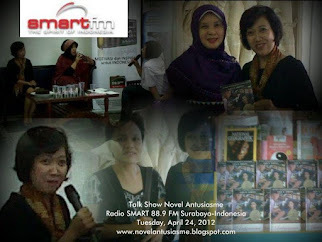 She told her stories in bold frankness, sprinkled with her cultural upbringing and native Bahasa Indonesia language, making her novel unique and one of a kind. 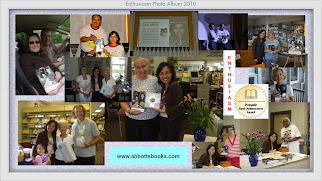 She valued family, relatives and friends and they became part of this novel. Enthusiasm is an interesting novel to read. This novel will be a source of inspiration and encouragement for women seeking to move forward in their life. It can be good resources for everybody who wants to be a writer. She shared her brilliant ideas and marketing efforts, used her blog as a marketing tool to connect with people as many as possible, learned from the great writers, and valued people’s feedbacks. 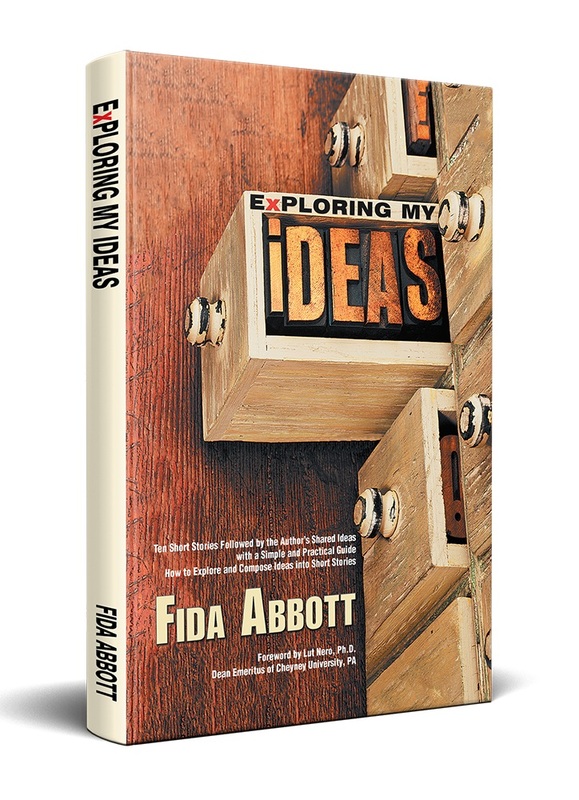 I am inspired by her quotes and her brilliant ideas she presented in her novel, which is a good resource for writers, especially her marketing concept of “spread the words” and “connect with more people” to let them know about her works.